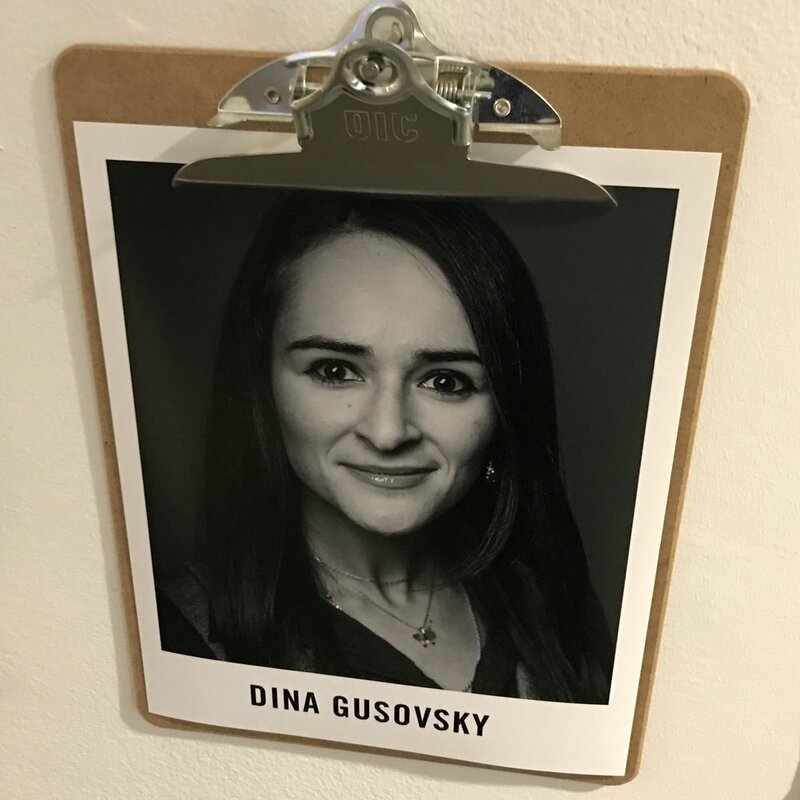 Dina Gusovsky is an award-winning journalist and Emmy nominated Writer at Late Night with Seth Meyers, where she focuses on writing topical and long form political comedy as well as sketches. Prior to Late Night, Gusovsky was a Reporter at CNBC, where she reported and produced investigative documentaries and series for digital and television platforms, including Nightly Business Report and On the Money. Gusovsky was the winner of the 2015 Walter Cronkite Award for Excellence in National Investigative Journalism. Her documentary, Death & Dishonor: Crisis at the VA, also won the 2014 Cablefax Award for Best Documentary/Show Series. Dina was also part of the investigative reporting team that won the 2015 George Polk Award for Business Reporting and the 2015 New York Press Club Award for the Luxembourg tax leak story. Dina Gusovsky was born in Moscow, Russia and immigrated to the United States as a political and religious refugee twenty four years ago. Prior to CNBC, Gusovsky was a Writer, Producer, and Reporter for Bloomberg News. She has also appeared on various news outlets like CNN to provide commentary and analysis on some of the most important issues and events of our time. Gusovsky began her career as the youngest CNN employee at twenty years old. At CNN, she assisted in writing and producing domestic and international business news.